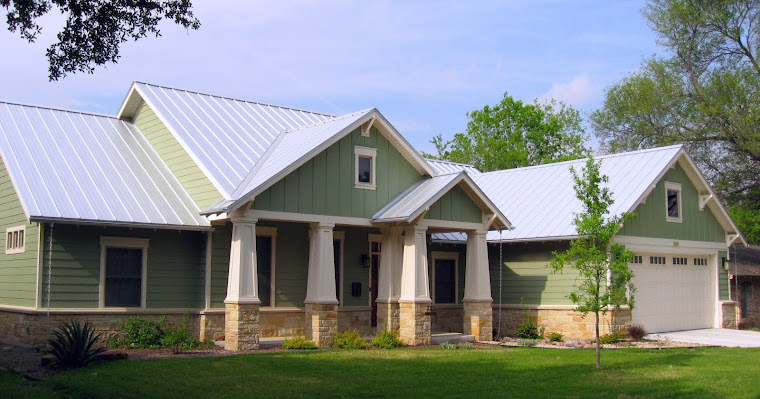 I picked up a sweet basil plant on the Inside Austin Garden Tour last month. Ideally, it would be planted in our vegetable garden, but since we still don't have a vegetable garden (and I don't think basil would grow in the pile of gravel that's currently occupying that space), I popped it into the main back bed between the lavender and the rosemary. Oh yeah, we also planted rosemary...which makes that part of the yard smell like a Macaroni Grill. 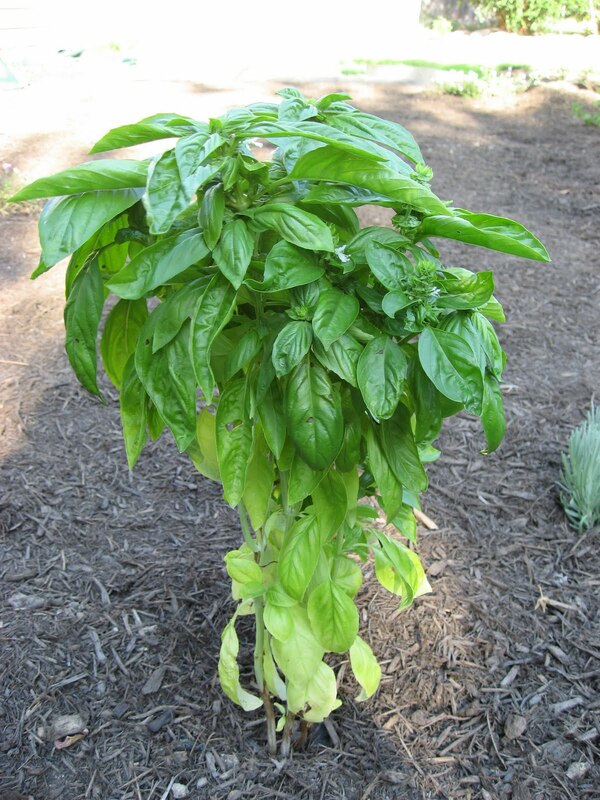 Now, I've tried growing basil inside several times, and it always dies. Every time. (You'd think I'd stop buying the plantable kind and just spend two bucks for enough pre-cut fresh basil for whatever I was making, but no....) So I expected the same sad demise for my outdoor basil. 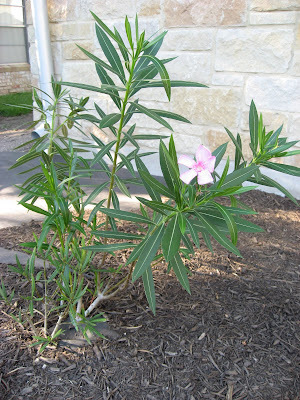 And I thought that was being borne out when I saw some of the leaves turning yellow not long after I planted it. I thought the direct afternoon sun was probably too harsh, and as much as I watered it, it wasn't looking any better. Then I googled around (what did people do before Google?) and learned that the bottom leaves turn yellow not because of too much sun but rather because of too little sun -- the thriving upper foliage shades the bottom leaves, leaving them looking kind of anemic. So it turns out I'm actually a pretty decent basil farmer. I didn't take a picture of the plant when I first got it, but it's about twice as big and twice as full now. And it's starting to flower (which I hear bees really dig, and we're in the middle of a bee crisis, so every little bit helps). 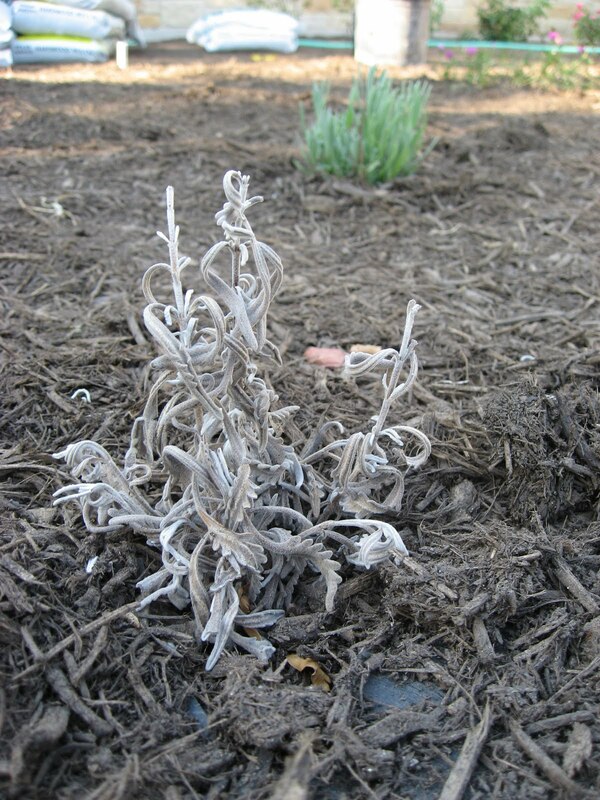 By the way, our biggest lavender plant (one of the two Goodwin Creek specimens) suddenly shriveled up and died a couple of weeks ago. It's our second casualty (the first was one of our verbenas that never really seemed to take after we planted it). I don't know what happened to the verbena (except that it followed the shrivel-and-die routine), but I suspect that the lavender was the victim of a peeing. (By a neighborhood cat, the theory goes.) Incidentally, both plants we have lost were small ones that came in 3" pots. If they were both peed on, which is possible, it makes sense that a larger plant would have stood more of a chance. Oh well. 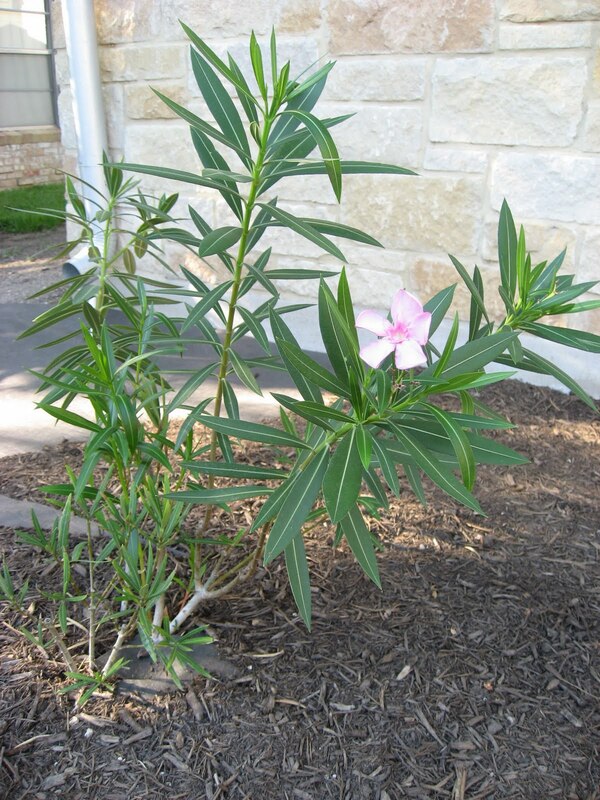 We got both of these plants at a regular nursery, but did you know that Lowe's and Home Depot guarantee plants for a year? If we'd gotten them there, it would have been simple to pop them back into the pot and return them for a refund or exchange. 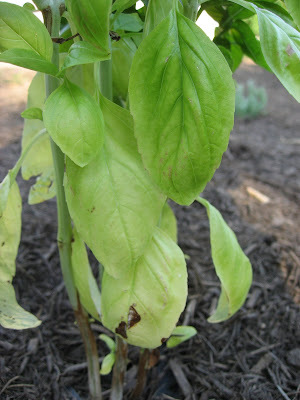 Thought I'd share a comment that was e-mailed to me: Basil can be really difficult to start. We have to start it in the garage, move it out to plant, but cover it if it's really hot until it gets established. But you sound like a pro. The bees really do like the flowers and let them grow at first but then cut them off or else the plant will go to seed and that will be the end of that plant. That's a real frustration for us. Before we had the bees, I was fanatical about cutting off the flowers to strengthen and extend the basil crop. At the end of the summer, we make pesto and freeze it in an ice tray.